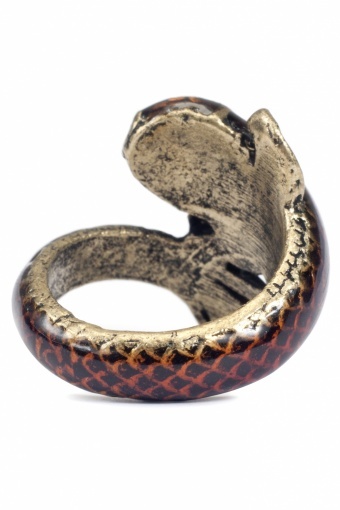 Very special Mystic Koi Carp ring antique bronze by From Paris With Love! 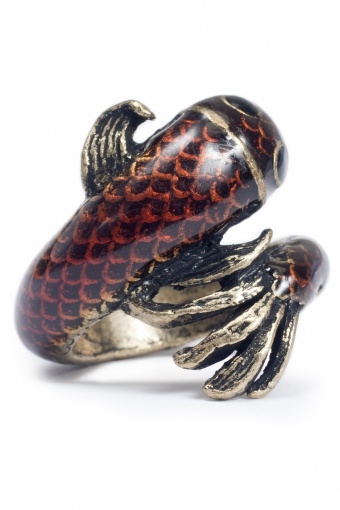 This one-of-a-kind koi swims around your finger. Beautifully coloured in warm orange red tone, the eyes and mouth enameled in black. The orange red tone is tranparantly applied so the scales shine through, its fins gracefully detailed.